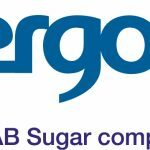 Today, we regret to announce that given the continued difficult trading environment and delays in the implementation of E10 in the UK over time, Vivergo Fuels Ltd proposes to cease production. “I am extremely disappointed at having to announce the proposed cessation of production as of the 30 September 2018 at the Vivergo Fuels plant. We have created a highly skilled and world-class business that had the opportunity to be part of a British sustainable biofuels industry. But sadly, the Government’s lack of pace over the past decade to introduce E10 has further undermined our ability to operate. My employees are my number one concern at this time and we have entered into consultation with them. •	Vivergo Fuels formed in 2007 as a biorefinery for the future. The business was started as a Joint Venture between AB Sugar, BP and Du Pont – to help deliver a sustainable and significant portion of the UK’s forecast Biofuel demand. •	Vivergo Fuels plant is the UK’s largest and Europe’s second largest producer of bioethanol, a low-carbon renewable transport fuel which is blended with petrol. The bioethanol plant can product up to 420 million litres of bioethanol and the bioethanol is made from 1.1 million tonnes of feed wheat, sourced from nearly 900 farms mostly across the East and North Yorkshire and Northern Lincolnshire regions. It is also the country’s largest single production site for animal feed, delivering 500,000 tonnes of high protein feed to over 800 farms across the UK. •	Vivergo Fuels Ltd employs over 130 highly skilled people at its production plant in Hull and Head Office in Hessle. It also supports over 3,000 jobs directly and indirectly, contributing £600m to the UK economy. •	E10 has been successfully introduced in many countries, including USA, Canada, Australia, New Zealand and Brazil, as well as in Europe, where it is proving increasingly popular in Belgium, Finland, France and Germany. Vivergo Fuels Ltd statement regarding the recent publication of the Department for Transport’s Call for Evidence on E10 can be found here. Details on the benefits of E10 and further information can be found here. •	Vivergo Fuels Ltd is one of the Government’s Northern Powerhouse partners.